By Xah Lee. Date: 2017-09-22 . Last updated: 2017-12-23 . The Logitech Mx Ergo Trackball came out in 2017-08 . Rechargeable. Just plug it in. Charges fast. 1 min charge can last a whole day. Best Ergonomic Mouse? 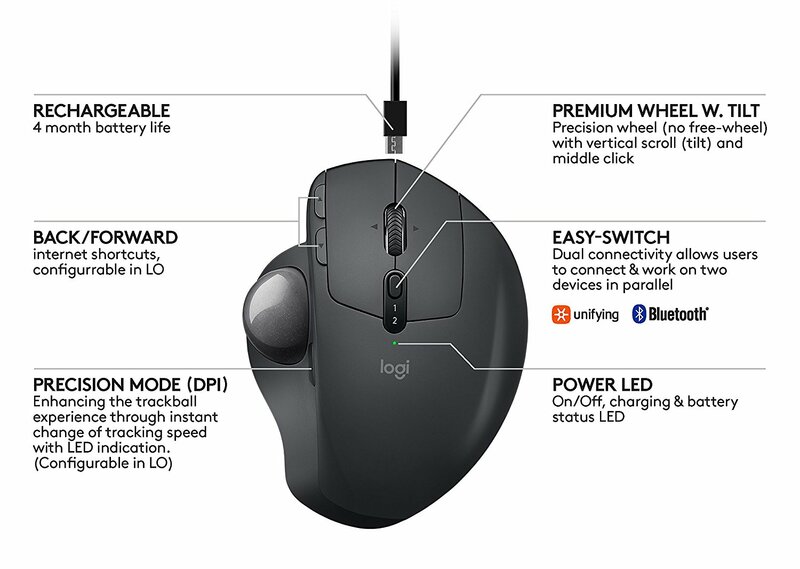 Logitech MX ERGO Overview!